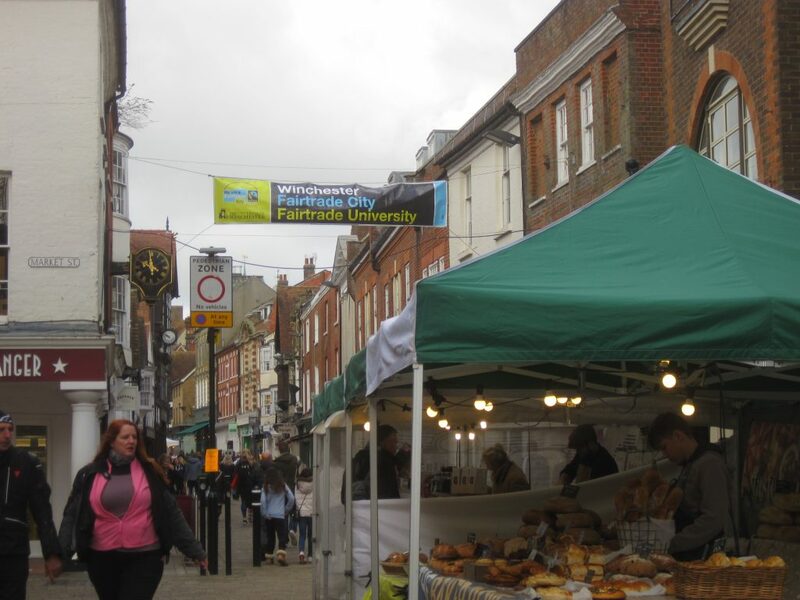 Welcome to Winchester City Fairtrade Network! Sunday 24 February. Society of Friends, Colebrook Street. Children’s meeting looking at Fairtrade chocolate issues and sharing ‘treats’ with adult Friends. Thursday 28 February. 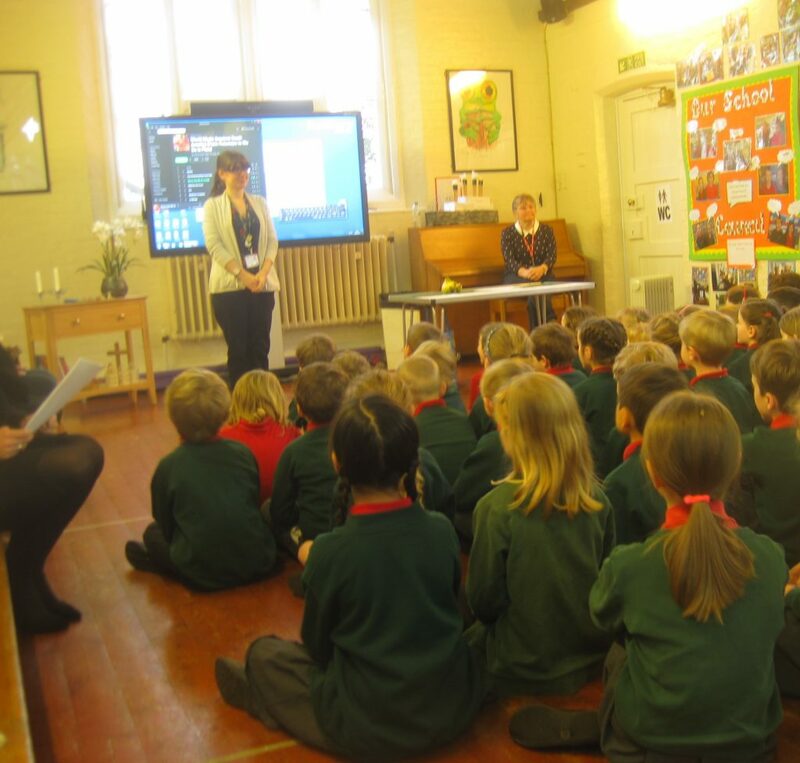 Fairtrade Assembly at Twyford C of E School. Saturday 2 March. Twyford Church. Snowdrop Saturday, with a Fairtrade theme. Planting snowdrops in the churchyard and having a cup of coffee and/or a soup lunch. Saturday 2 March, Buttercross, Winchester. 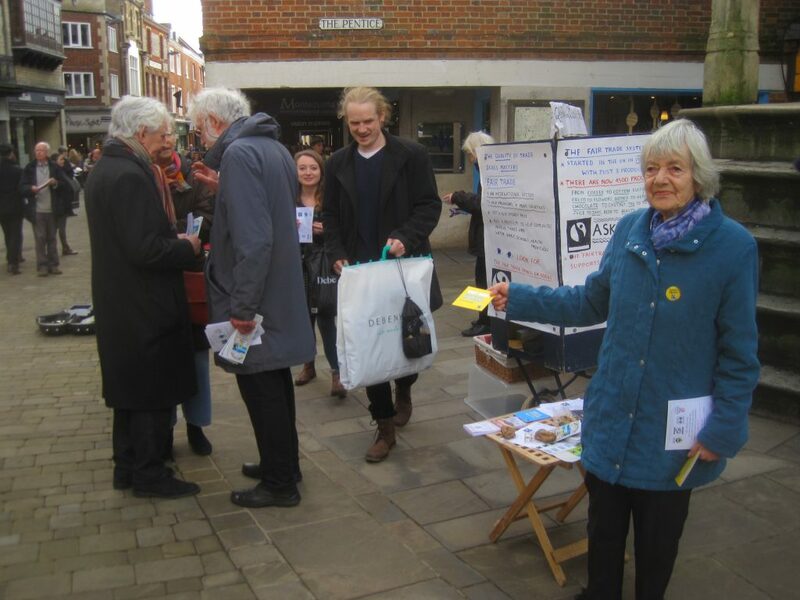 Winchester Quaker Peace and Justice Group distributing Fairtrade leaflets. 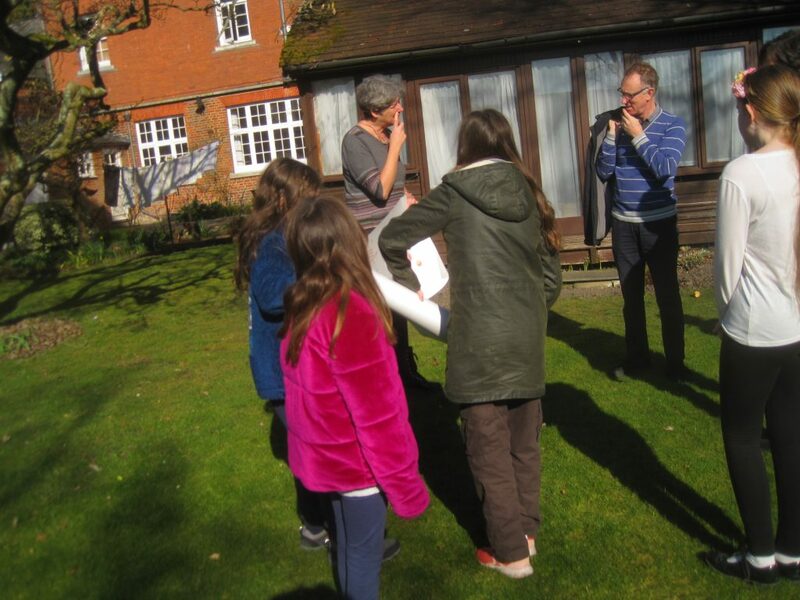 Monday 4 March, Twyford C of E School, after-school Fairtrade sale. Wednesday 6 March, The United Church, Jewry Street. Fairtrade shop. 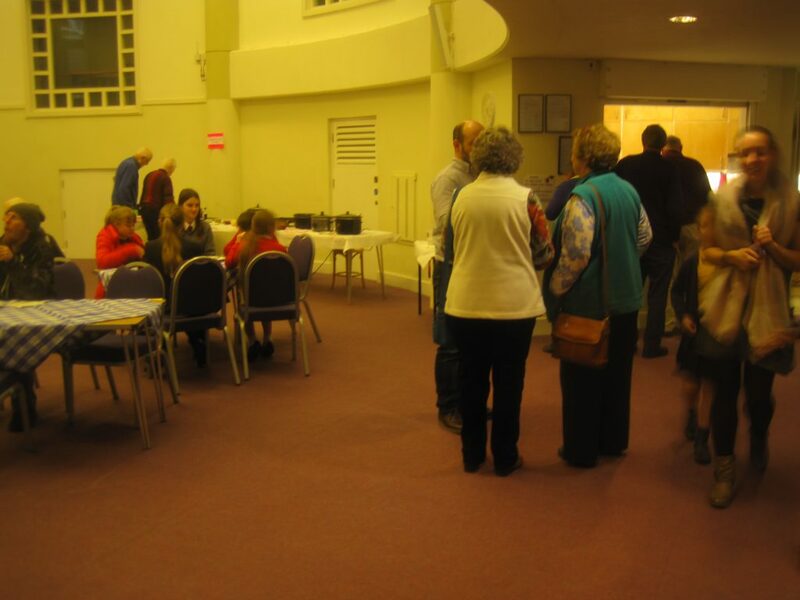 Throughout the Fortnight the United Church coffee bar sold homemade chocolate cakes with Fairtrade ingredients with their regular Fairtrade drinks. 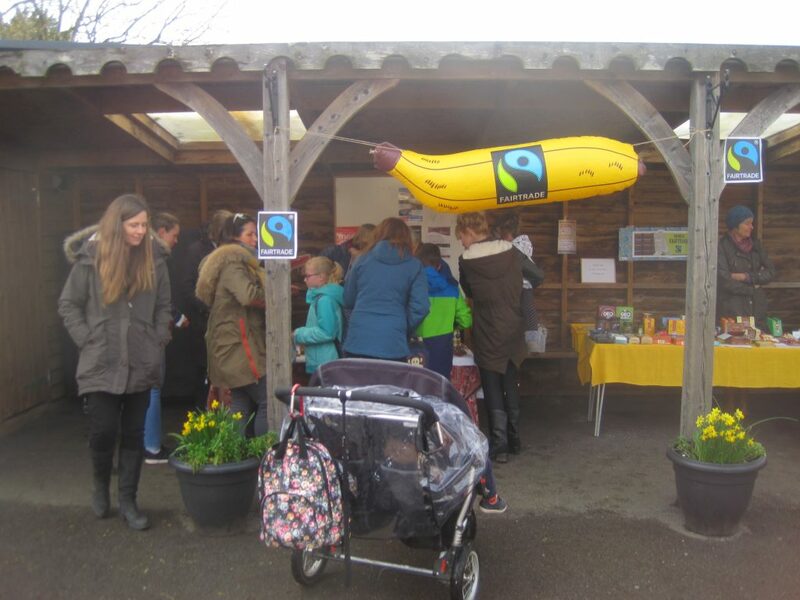 Winchester University offered Fairtrade dishes in the Food Hall all through the Fortnight, with a ‘Food on Campus Big Brew’ on Friday 8 March. They are. also ran a ‘Fairtrade Fortnight Quiz’ with a prize of a luxury hamper full of Fairtrade products. 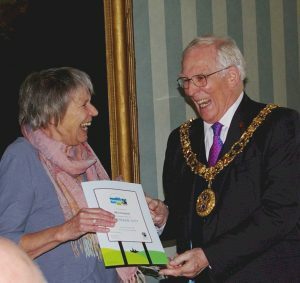 The highlight of the year was the renewal of our Fairtrade City status by the Fairtrade Foundation. The Foundation praised the ‘clear exciting goals to take Fairtrade further’ set by the Network. 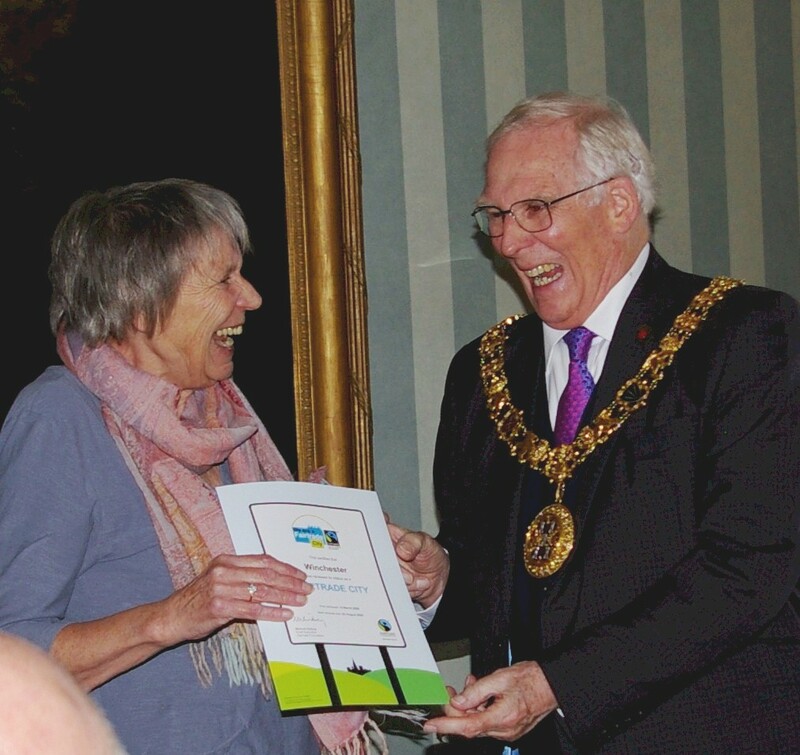 The renewal was celebrated at an event hosted by the Mayor, Councillor Frank Pearson at Abbey House, when the certificate of renewal was presented to the Mayor for display at Abbey House. We were particularly pleased that City Councillors attended together with representatives from churches, community groups, the cathedral, businesses, the university and other supporters. Steps continue to strengthen the Network’s links to the City Council, including the link to sustainable businesses. It is hoped that this will help further the Network’s long-term aim to extend the Fairtrade City status from the historic city to the whole City Council area by encouraging the principal towns to work towards Fairtrade Town status. An Action Plan was in preparation to cover the two year period before the next status renewal with plans for the renewal of the Fairtrade Directory on our website, as the previous one is now out of date. 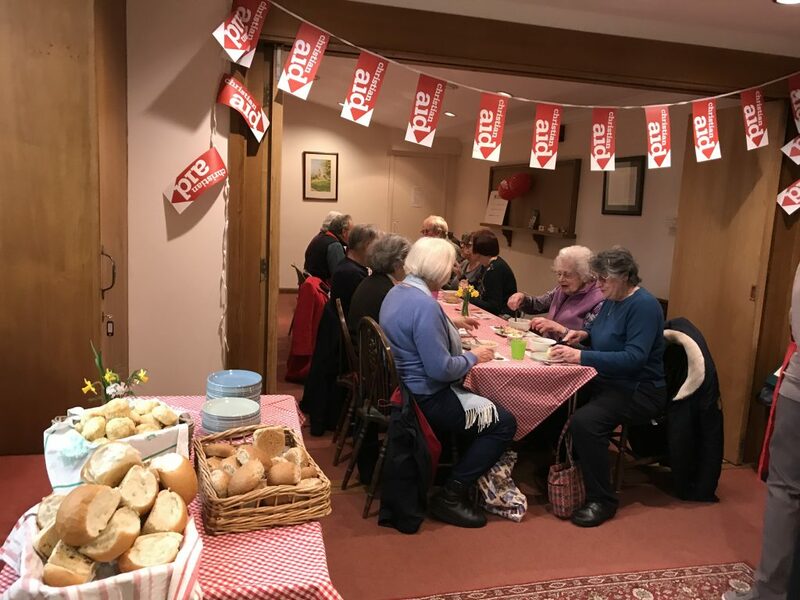 Fairtrade Fortnight was particularly successful, the highpoint being an evening at the United Church with Bassema Barahmeh and Taysir Arbasi of Zaytoun, the pioneering Fairtrade initiative selling Palestinian products in the UK and Ireland. This was very warmly supported. 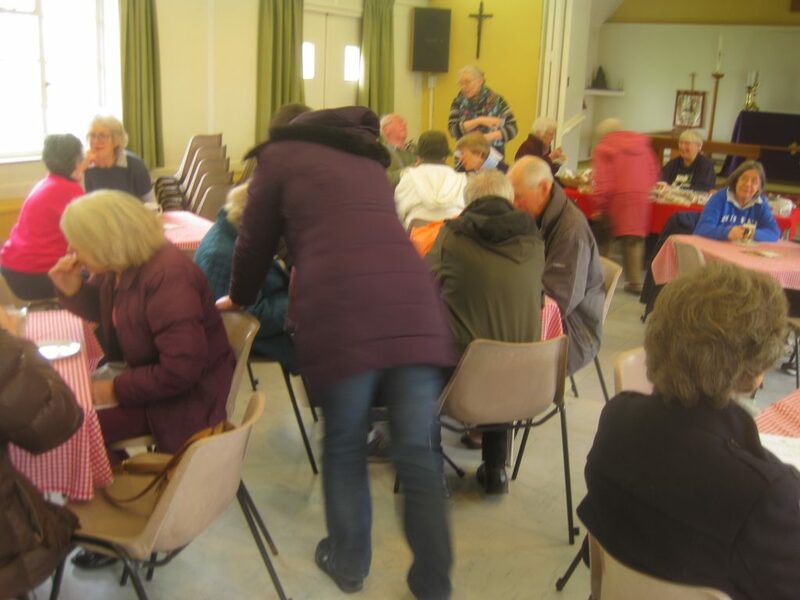 There was another tea at Abbey House and a Big Brew at St Mark’s which had to be postponed for three weeks because of heavy snow! The new Fairtrade leaflet, paid for from the fundraising of Compton All Saints C of E School last year, was available in time for the Fortnight. The Network was invited to run a Fairtrade stall at the annual Ukulele Festival which met in Winchester this year, and in addition to the money raised from sales we received a donation of £200 from the organisers. We are also an active partner in the Winchester Food Partnership which is working towards a healthy and sustainable food culture. I would particularly like to thank our small team of committed people who have made all this possible. We always welcome anyone who wishes to spread the word about the benefits of Fairtrade so do contact us if you wish to join us.